The 2018 WCS Global Finals have concluded, and for the first time a non-Korean has claimed the biggest trophy in StarCraft II. 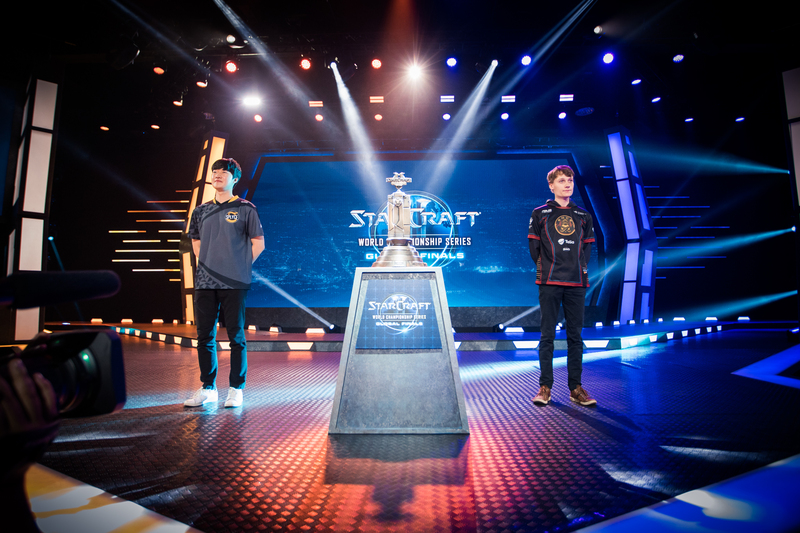 Serral, coming into the tournament as one of two favorites, fully delivered on his potential as he overcame previous champion Rogue and the best Protoss in the world, Stats, on the final day of WCS 2018.
sOs and Stats met in the first semifinal, opening their series on Blueshift. Stats chose a quick expansion, while sOs threw down a robotics facility and even robotics bay for disruptors on one bay. He harassed a bit with adepts in a warp prism before gathering his army and attacking Stats' natural. Stats was able to defend with the help of clutch prism micro, while he backstabbed sOs' main base with a handful adepts. sOs was forced into an even more committed all-in, but Stats calmly retreated to the high ground and picked away at his opponent's army with his immortals in a prism, then pushed down to defend the nexus. sOs saw his army disappear and tapped out. Acid Plant saw mirrored builds from the two Protoss, with an early twilight council for blink, followed by expansions. The game built up slowly as both players continued down the exact same path, with charge, a forge and immortal production. sOs finally deviated from the norm as he skipped on +2 attack in favor of more units and attacked into Stats. A forward blink shot down sOs' warp prism and Stats held quite comfortably. With his upgrade advantage kicking in, he simply moved across for a counterattack and rolled over sOs. Cerulean fall saw similar openings from both again, with stargate the choice of tech for both. sOs, though, opened with an oracle while Stats chose the advantageous phoenix first. The oracle was deflected easily and sOs, realizing the trouble he was in, threw down a dark shrine to catch Stats off guard as he built his own phoenix count. Stats, having added a second stargate, quickly chronoboosted out two oracles and an observer, and despite losing a few probes and some mining time, came out ahead in probes and fully ready to defend sOs' blink/phoenix attack. The push was completely shut down by Stats' phoenixes and ground units, and sOs never recovered. A desperate late attempt never even got off the ground as most of sOs' units were lifted into the sky and he promptly conceded the series, sending Stats to the grand finals. Serral and Rogue met in the second semifinal, and Rogue immediately threw the Finn a curveball with a third hatchery—in his natural. Serral calmly responded with a quick third hatchery of his own but putting his near minerals and gas geysers which, in case you didn't know, is where hatcheries usually go. Rogue used his larvae for a flood of zerglings, but Serral never took any damage and Rogue was forced to pull back. A standard game developed from there, with both players droning and beginning to build up their roach count, with Serral at an upgrade advantage due to his faster attack upgrades. He began his trademark roach harassment, even adding a roach drop into the mix. Rogue moved out for an attack that looked scary for Serral for a moment, but +2 attack finished just in time and allowed the Finn to turn the fight in his favor. Serral's harassment, meanwhile, completely tore Rogue apart, killing over 20 drones while Serral swung back at Rogue with a maxed out army. Rogue couldn't stop the attack and GG'd. Serral uncharacteristically threw in a cheese on Para Site, with a very fast hatchery to trick Rogue, followed by an early gas for zergling speed. Rogue lost his third hatchery, but was able to block and defend his main ramp, allowing him to hold on. Serral continued with more zerglings, putting him all-in. Rogue had banelings in time to defend and when his carapace upgrade finished, moved across for his own attack. Serral was too far behind to defend and was forced to tap out. Cerulean Fall saw the same standard builds from both players, but Rogue then pooled a lot of zerglings before taking his third base. Serral had to cancel his building third hatchery to afford a wall, but he held and found himself ahead in drones. A long ling/bane slugfest ensued, with Serral ultimately hanging on to his third base and cleaning up Rogue's army. Ahead an attack upgrade and in workers, Serral forced Rogue to all-in with a small roach army. But after scouting Serral's defenses Rogue didn't even bother, instead conceding the game before his attack even began. Lost and Found again saw mirrored builds but neither player got aggressive this time. Serral chose the faster lair while Rogue opted for earlier range attack upgrades. The two settled into a passive game from there as both players massed roaches and ravagers. Rogue was quicker to add lurkers to his composition, but Serral still found good trades when he attacked the Korean and took out his fifth base. Rogue responded with a nydus worm in Serral's main base. He set up a strong position, but Serral was able to chase him out. Both players transitioned to a lategame army of lurkers, hydralisks and vipers. Bloody trades happened all over the map, but the two armies only chipped away at each other with abducts. Despite Rogue's 20 drone lead it was Serral whose bank grew faster. The Finn got the better of the bloodbath that followed, constantly trading better with his larger army. Rogue eventually ran out of steam and, with his gas bank depleted, was even forced into zerglings. Serral warded off one attack after another on his outlying bases while destroying Rogue's crucial bottom right base. When Serral finally pushed in for the finishing blow he was nearly 60 supply ahead and as his army surrounded the remainder of Rogue's force, the series was his. 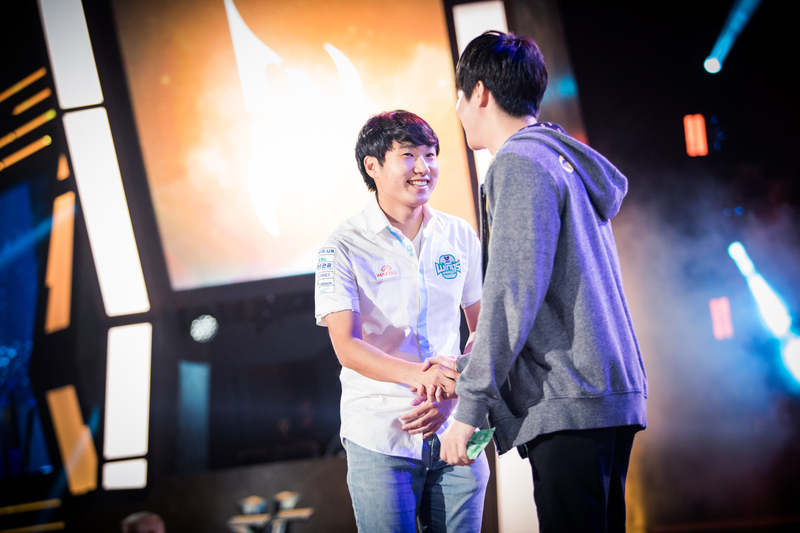 After a full year of StarCraft II, Stats and Serral met in the grand finals of the WCS Global Finals. The Protoss forced Serral to take his third base first, then proxied a stargate. His oracle found 6 drone kills, but Serral responded by running zerglings into the Protoss base while pressuring the wall. Stats cleaned up the units and followed up his opening with an archon drop and zealot warpin. The attack was met with roaches and deflected easily. Serral from there teched to swarm hosts and took full control of the game as he pressed into Stats' third base, constantly eliminating important units with his roaches and locusts. Stats held on for a long time thanks to great warp prism micro, but the numbers ultimately made it impossible for him to win and Serral's continued attacks forced him out. Both players chose standard builds on Cerulean Fall, with Stats opting for a stargate. The Protoss followed this up with adept harassment and two robotics facilities before his third base. He eventually moved out with sentries, immortals and charge zealots, forcing Serral to stop droning and commit to units. The Finn used these units to drop in the main base and poke at the third, but Stats’ defense was tight enough to ward him off. When Stats moved out, though, Serral returned with a larger drop and overwhelmed the Protoss defenses. Stats was committed to his attack and while he did destroy Serral’s fourth base, he lost his whole army to Serral’s hydralisks. With his main base in shambles and still under siege, Stats tapped out. Stats chose another stargate opening on Dreamcatcher, this time adding a second stargate as his midgame tech, adding two robotics facilities afterwards. Serral’s army of hydralisks and banelings eventually pushed out to pressure Stats while Serral added swarm hosts to his composition. The Zerg army proved too efficient for Stats to handle as he kept bleeding off workers and army units until Serral eventually couldn’t be stopped anymore. As locusts swarmed Stats’ immortals and templar, Stats found himself 90 supply behind the maxed out Zerg and was forced out of the game, putting Serral on match point. Stats opted for the same double stargate build on Acid Plant. The phoenixes found only minimal value, but they allowed Stats to pin Serral back. The Zerg again chose swarm hosts as his core army unit. A warpin in Serral’s main killed 8 drones while Stats saved his fourth base from locusts. Stats chased down the swarm hosts and picked off a few with his phoenixes, but lost 17 probes to a baneling drop at home. With a lot of high templar, immortals and archons, Stats moved across the map and took a great fight that quickly spiraled into a win for him as Serral’s army was stormed off the map. Stats finally mixed up his openings on Fracture, choosing a dark shrine for an early archon drop. He began his harassment by engaging Serral’s defensive roaches with dark templar, killing a few of them before morphing his archons. Serral, after stabilizing, threw down an infestation pit for swarm hosts again. Stats postured for an attack but backed off after seeing the locusts. His aggressive stance kept the pressure off his own expansions, and he used that freedom to keep building up his immortal/archon/templar army. He eventually pushed in again as zealots attacked and destroyed Serral’s fourth base. Serral’s locusts were quickly cleaned up and his roach/ravager army couldn’t stand against Stats’ Protoss forces, allowing the Korean to take his second map victory. Stats went back to his double stargate opening on Para Site. With 22 drone kills, the phoenix harassment proved quite effective. Serral threw down an infestation pit again, but this time used it to rush out a quick hive and greater spire. Stats postured aggressively before the greater spire finished but couldn’t find a way in. Stats at least bought enough time to get a few tempests out. Both players took some time to round out their army compositions, with Stats adding carriers and a mothership while Serral grabbed vipers and more corruptors. Serral’s air army intercepted the mothership as it moved out, allowing Serral to siege Stats’ bases. Stats lost two expansions and suddenly found himself in a rough economic situation against a massive bank on Serral’s side, and his spot only grew worse as Serral’s corruptors shot down nearly his entire air army. Serral then shifted his focus to Stats’ remaining bases in the bottom left, taking out the nexus there and killing 21 probes with banelings. Stats in return took out Serral’s top right base, but that move ultimately had very little impact on Serral’s bank. The brood lords took out another base and Stats’ hand was finally forced. He moved out but constantly had his carriers chipped away at by Serral’s abducts, and the Finnish Zerg finally collapsed on the remaining air army with his corruptors, wiping out Stats’ entire army and with it his last hope of winning the series. 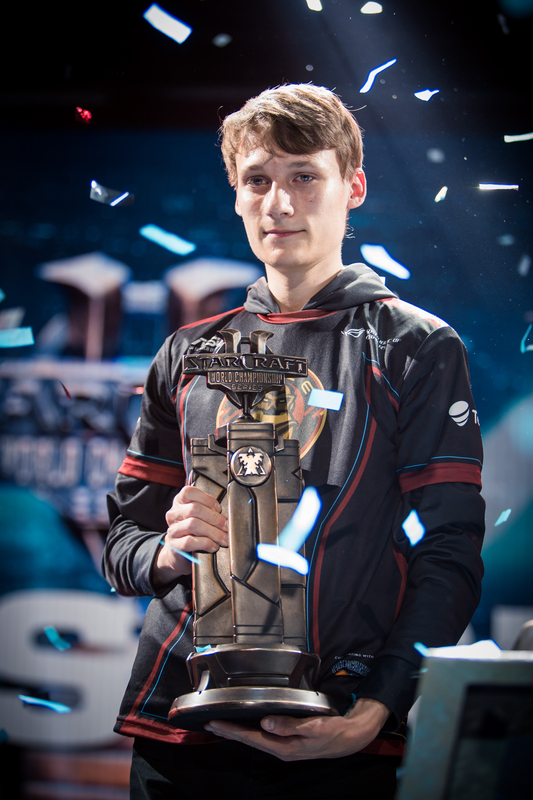 With no economy to rebuild and faced with a fully functional Zerg economy and army, Stats conceded the series, crowing Serral the BlizzCon champion. Congratulations to Serral, the 2018 WCS World Champion! Going to add a clip of Serral vs Stats at some point but Twitch clips are currently dead. Hope you guys enjoyed the recaps! History was made, too awesome! I'm really glad I was able to watch it live! Thanks for the write-up! Congratulations to Serral, the Finnest player of 2018 ! Serral is an amazing player. So deserved. 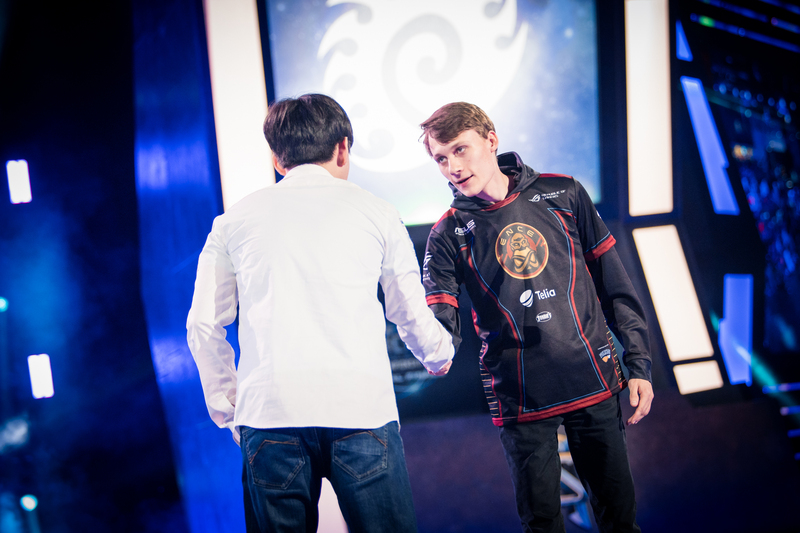 This is a moment that will never be forgotten in all of StarCraft history, congratulations Serral! There will never be another player quite like you. Big congrats once again. Definitely the best foreigner of all time and if he keeps this up he could become a real legend. Just imagine if he keeps this up in 2019 and 2020. The next test will be HSC. Great games by Stats too, almost thought he wouldn't take a map but then he showed his class. Serral put his name into the history. I had a similar one but it started earlier for more context. Just gonna add that when clips start working again. Thanks though! So happy for Serral; what an extraordinary and amazing player. His play was breathtaking, and he meticulously dismantled the competition throughout the tournament. Also got to say I absolutely love that picture by Helena. Great writeup and pictures. 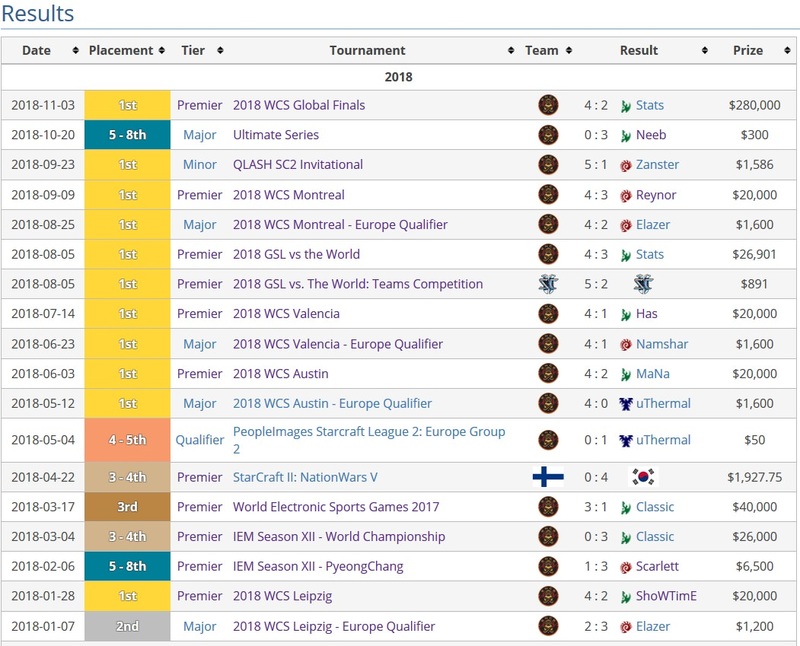 What an insane year of dominance for Serral. Can't wait for him to play in homestorycup. He did "only" reach the semis in WESG and IEM Katowice at the beginning of the year. 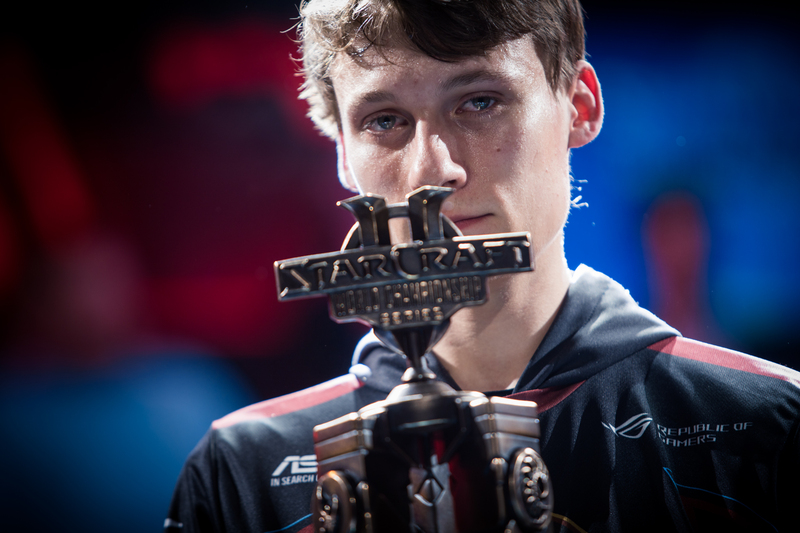 Serral proved to me that it was worth it to come back to starcraft. Amazing run, amazing tournament. Im sure we ll see him face Maru sonner or later, for this title, i m completely satisfied with how it went. He went almost undefeated since March, lost one series against Neeb online just before blizzcon. He didn't win everything but he got more firsts than not-firsts. 6 Premier victories in one calendar year. And he can still make it 7.